Morristown, NJ – The Jersey Colts organization is proud to announce that alumni forward Isaac Davidson and defenseman Conner Burke have been selected to their respective regions ACHA All D-III teams. 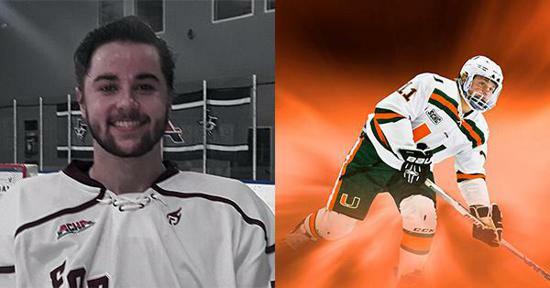 Davidson, a sophomore at the University of Miami was awarded first team honors. The Bernardsville native posted 27 goals and 20 assists for 47 points in 24 games played this year. Burke, also a sophomore, representing Fordham University was award second team recognition. Burke, from New Vernon, NJ, had an impressive scoring line from the back end, posting 9 goal and 21 assists for 30 points over 26 games.